[S65] 1920 United States Federal Census, online , Year: 1920; Census Place: Mentz, Cayuga, New York; Roll: T625_1089; Page: 12A; Enumeration District: 36; Image: 1071. [S26] 1900 United States Federal Census, online , Year: 1900; Census Place: Mentz, Cayuga, New York; Roll: T623_1013; Page: 6A; Enumeration District: 33. [S2] 1880 United States Federal Census, online , Year: 1880; Census Place: Port Byron, Cayuga, New York; Roll: 814; Family History Film: 1254814; Page: 168A; Enumeration District: 028; Image: 0258. [S75] Ancestry.com, World War I Draft Registration Cards, 1917-1918 (n.p. : Online publication - Provo, UT, USA: Ancestry.com Operations Inc, 2005.Original data - United States, Selective Service System. World War I Selective Service System Draft Registration Cards, 1917-1918. Washington, D.C.: National Archives and Records Admini, unknown publish date), Registration Location: Onondaga County, New York; Roll: 1818609; Draft Board: 3. [S26] 1900 United States Federal Census, online , Year: 1900; Census Place: Mentz, Cayuga, New York; Roll: T623_1013; Page: 20A; Enumeration District: 33. [S91] Mt. Pleasant Cemetery, online <http://www.cayugagenealogy.org/cem/cem137.htm>, Children buried in Mt. Pleasant Cemetery, Port Byron: VAN EPPS Florence, dau of A. N. & M. S. d Dec 12, 1867 no age Eugene, son of A. N. & M. S. d Oct 22, 1855 ae 1 yr Hamilton, son of A. N. & M. S. d 1865 ___. [S30] The Auburn Bulletin, Auburn, NY, Sat., Nov. 19, 1904, p 1: Copy difficult to read, but most of it is legible: Died, Port Byron, NY, Friday, at the residence of his daughter, Aaron Van Epps, 91. Services will be at the residence of his daughter, Mrs. Noah Jetty. Source Citation: Year: 1900; Census Place: Rochester Ward 12, Monroe, New York; Roll: 1075; Page: 8A; Enumeration District: 0085; FHL microfilm: 1241075. Mary (?) was born circa 1815 at Ireland.1 She married John Carey. "New York, State Census, 1875," index and images, FamilySearch (https://familysearch.org/pal:/MM9.1.1/VTZB-HBF : accessed 06 Nov 2013), Mary Carey in entry for John Carey, 1875. "New York, State Census, 1875," index and images, FamilySearch (https://familysearch.org/pal:/MM9.1.1/VTZB-HBN : accessed 06 Nov 2013), John Carey in entry for John Carey, 1875. [S2] 1880 United States Federal Census, online , Year: 1880; Census Place: Monroe, Orange, New York; Roll: 910; Family History Film: 1254910; Page: 393C; Enumeration District: 022; Image: 0787. "New York, State Census, 1875," index and images, FamilySearch (https://familysearch.org/pal:/MM9.1.1/VTZB-HBL : accessed 06 Nov 2013), John Cary in entry for Edward Cary, 1875. Source Citation: Year: 1940; Census Place: Rochester, Monroe, New York; Roll: T627_2846; Page: 3B; Enumer. Ellen O'Connor Montezuma 23 Montezuma Thomas O'Connor Ellen Haren D.M.Donohue. Helen Loretta Harmon was (an unknown value) at School Teacher. She lived at Montezuma, Cayuga, New York, USA. Her married name was Murray. She was born on 21 July 1909 at Savannah, Wayne, New York, USA. She married John Aloysius Murray, son of John F Murray and Honora Nugent, on 4 July 1942 at Weedsport, Cayuga, New York, USA. Helen Loretta Harmon married John Aloysius Murray, son of John F Murray and Honora Nugent, on 4 July 1942 at Weedsport, Cayuga, New York, USA. Helen Loretta Harmon died on 12 August 1986 at Auburn, Cayuga, New York, USA, at age 77. Thomas M. Harmon married Julia Pridon. Her married name was Harmon. 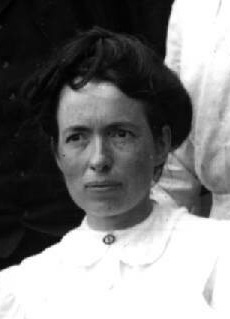 Alice O'Conner was born on 4 August 1881 at Montezuma, Cayuga, New York, USA.2,3 She lived in 1892 at Montezuma, Cayuga, New York, USA; Age: 12.1 She married Richard Michael Harmon, son of Patrick Harmon and Winifred Shaw, on 21 December 1911 at Cleveland, Cuyahoga, Ohio, USA.4 Alice O'Conner died on 24 October 1957 at Stickles Lane, Weedsport, Cayuga, New York, USA, at age 76.5 She was buried at St. Joseph's Cemetery, Weedsport, Cayuga, New York, USA. [S74] The Citizen Advertiser, Auburn, NY, Oct 25, 1957 p 2. [S74] The Citizen Advertiser, Auburn, NY, CA. [S642] Unknown author, St. Joseph's Church (Weedsport, New York) Baptisms 1862-1910 Marriages 1862-1910 Deaths 1883-1910 (n.p. : n.pub., unknown publish date), Year is 1905. Winifred Shaw was born in 1842 at Ireland.1 She was born in 1842 at Carlow, Ireland. She was born circa 1844 at Ireland.2 She was born circa 1846 at Ireland.3 She married Patrick Harmon on 8 June 1865 at Auburn, Cayuga, New York, USA.4 Winifred Shaw appeared on the census of 20 June 1870 at Household 652-676, Auburn, Cayuga, New York, USA.5 She appeared on the census of 2 June 1880 at 29 Agustus St., Auburn, Cayuga, New York, USA.6 She died on 31 May 1899 at Auburn, Cayuga, New York, USA. [S1] 1870 United States Federal Census, online , Auburn, NY. [S521] The Auburn Daily Bulletin, Auburn, NY, Jun. 1, 1899 age at death: 53 yrs. [S2] 1880 United States Federal Census, online , Ward 1, Household 164-176. Patrick Harmon was born in 1836 at Dividstown Pilsworth, Kildare, Ireland.1 He was born circa 1843 at Ireland. He married Winifred Shaw on 8 June 1865 at Auburn, Cayuga, New York, USA.2 Patrick Harmon died on 29 October 1896 at Auburn, Cayuga, New York, USA.3 He was Type: Cemetery circa 30 October 1896 at St. Joseph's Cemetery Lot 45 Sec 4 2SE, Auburn, Cayuga, New York, USA. [S520] St. Joseph's, Fleming, Genweb Transcription, Url: Rootsweb.com/~nycayuga, online <http://web.archive.org/web/20020225192343/www.rootsweb.com/…>, Age from cemetery records would place year of birth at 1843. Richard Michael Harmon lived at Clinton Rd., Weedsport, Cayuga, New York, USA. He was born on 26 July 1920. He married Ruth E. Aiken, daughter of Fred Akien and Altheda Alney. Richard Michael Harmon died on 9 June 1977 at Auburn, Cayuga, New York, USA, at age 56. Harold Joseph Harmon was Type: Cemetery at St. Joseph's, Weedsport, Cayuga, New York, USA. He lived at 8956 N. Seneca St, Weedsport, Cayuga, New York, USA. 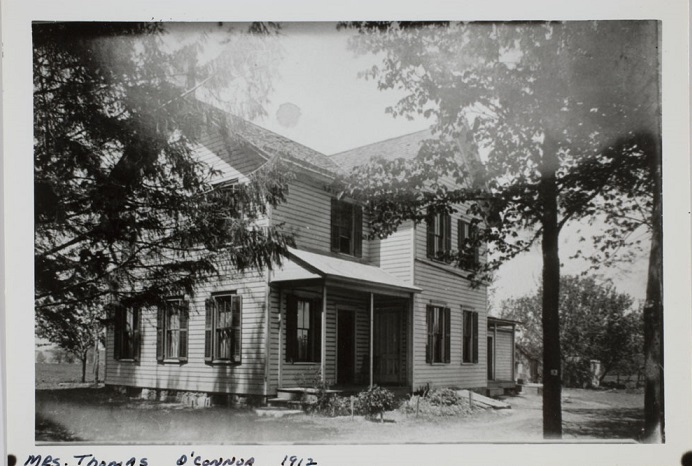 He lived at N. Seneca St., Weedsport, Cayuga, New York, USA. He was (an unknown value) at Service Repairman for Whitman's Hardware. He was born on 10 March 1904 at Montezuma, Cayuga, New York, USA.1 He married Mildred Pratt, daughter of James Pratt and Rose Powers, on 12 February 1927.2,3 Harold Joseph Harmon died on 1 December 1987 at Auburn, Cayuga, New York, USA, at age 83. Her married name was Harmon. Helen B. O'Conner was also known as Ellen Conners.1 Helen B. O'Conner was also known as Ellen O'Connor.2 She was born on 7 March 1879 at Montezuma, Cayuga, New York, USA.1,3 She lived in 1880 at Montezuma, Cayuga, New York, USA.1 She was born on 3 February 1880 at Montezuma, Cayuga, New York, USA.4,2 She lived in 1892 at Montezuma, Cayuga, New York, USA; Age: 13.2 She married Richard Michael Harmon, son of Patrick Harmon and Winifred Shaw, on 18 February 1903 at Montezuma, Cayuga, New York, USA.5 Helen B. O'Conner died on 24 June 1911 at Weedsport, Cayuga, New York, USA, at age 32.6 She was buried at St. Joseph's Cemetery, Fleming, Cayuga, New York, USA. [S1039] Unknown author, St. Mary's Marriage Records (n.p. : n.pub., unknown publish date), St Mary's Marriage Records LDS Microfilm Roll #11 Nazareth College, Pittsford NY p3.